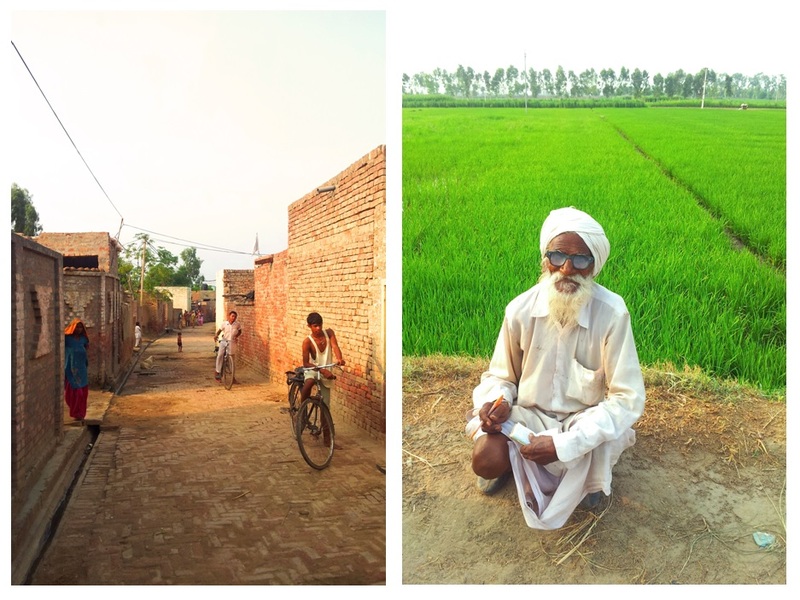 Our days in Faridkot were spent at the Living Hope School, but our afternoons and evenings were spent driving around town and seeing the work that our collaborative organization was doing. 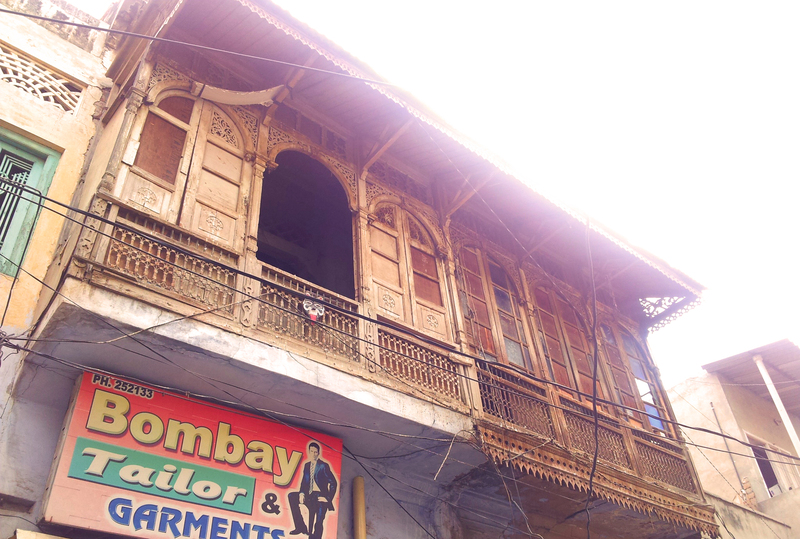 Beautiful architecture in the streets of Faridkot. If you look closely you see how intricately carved the railing is. One of the biggest projects that is currently being (slowly) funded is a vocational center. This large building would serve as a training center for Indians who have no profitable skills, where they would learn a multitude of skills from driving to teaching etc. These people would then go one to be employed either independently or by the organization itself. Throughout the training, instructors would build relationships with them and share the Gospel with them. When we visited in that humid August afternoon, the place was just a few brick walls and foundation. The surrounding walls were built as well but there was much work to be done to say the least. The setting was great though, surrounded by green farmland. Bricks and mortor now, but once completed this will be a place for training and learning. 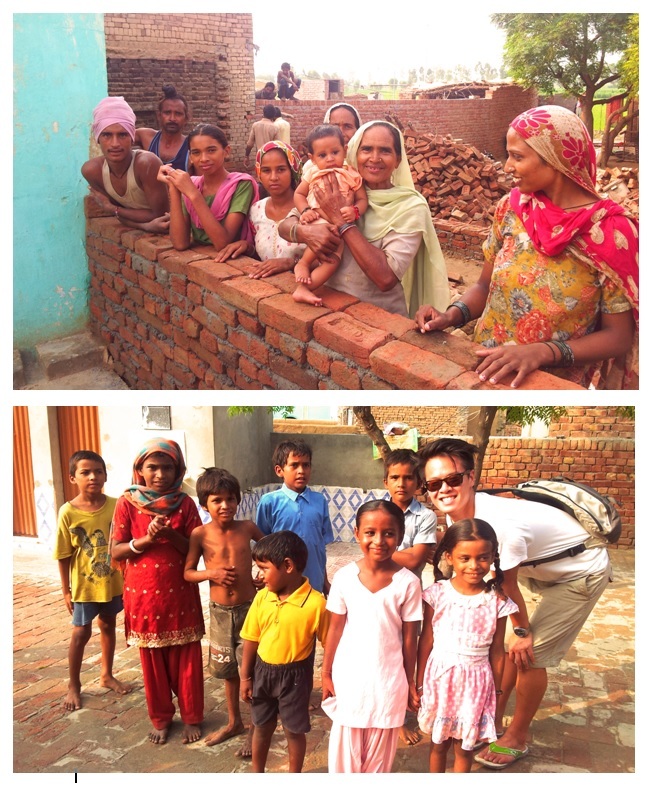 The most memorable experience was our village visit. 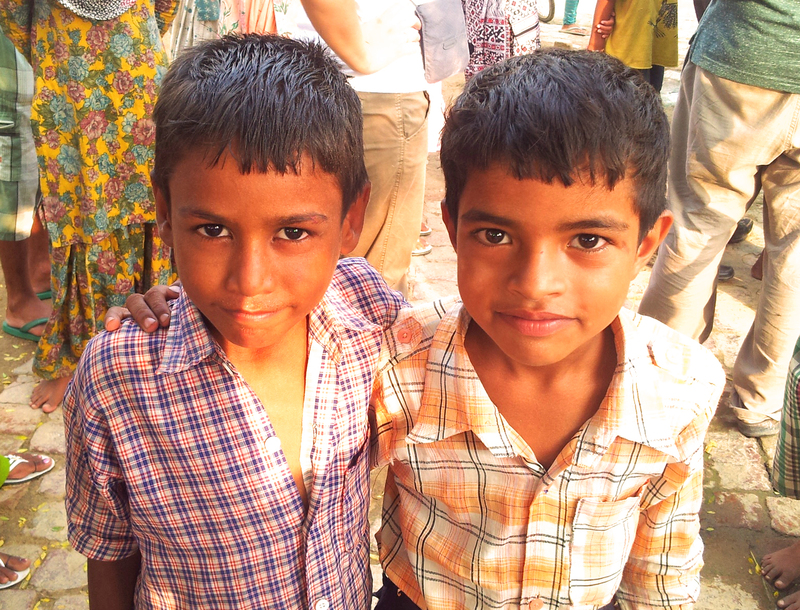 As many as 75% of our students were from one particular village, which adopted the idea of educating their children as a means to break the cycle of poverty. We were greeted warmly here and we recognized so many of the students from the school! The village structure was basically a winding brick road 3-4 meters wide with houses on either side of the road. Homes ranged from the 2 story building of the village chief, to the very humble shacks that whole families shared. One particular family, who’s child was sponsored by Pastor CP, had a family of 5 and their home was literally a shack that was 2mX3m. It was heartbreaking to see the conditions some of the people lived in. This friendly family insisted I take a photo with their newborn. Some of the kids in the bottom are from the Living Hope school! We spent a good afternoon here taking pictures with the kids, getting to know some of the family and learning a bit about village life. EmHo and I battled the heat and made as many balloon animals as we could for the kids. Here’s a big tip for those of you planning to travel to South Asia; If you’re planning to be out for more than 6 hours at a time, bring a change of clothes. By this time, my T shirt was drenched and cycling between warm and muggy from the outside weather, to cold and clammy from the car’s AC. It kinda put a damper on the mood for me. Despite that, we met a few interesting characters. The kids were warm and we managed to communicate despite the great language barrier. This particular senior was what I could only call the “Hipster Sage”. He donned robes, a turban and glasses so thick I could hardly see his eyes. All the while he would smile at us and jot thoughts down on his notepad. Hipsters take note. For those who have yet to try their hand at mission work, I say being well traveled can definitely help you cope with not having your creature comforts. Mission is not a vacation. Because it is funded by donations, luxury is absolutely out of the question. We were extremely lucky in that we stayed in cities and got to stay at hotels (as basic as they were they did have beds, running water and choppy wifi). Hannah, a seasoned lady in the mission field has gone for many month long mission trips in Thailand in which she stayed in a church, sleeping on a mat, without air conditioning. With that said, be patient and remember at all times why you are there in the first place. 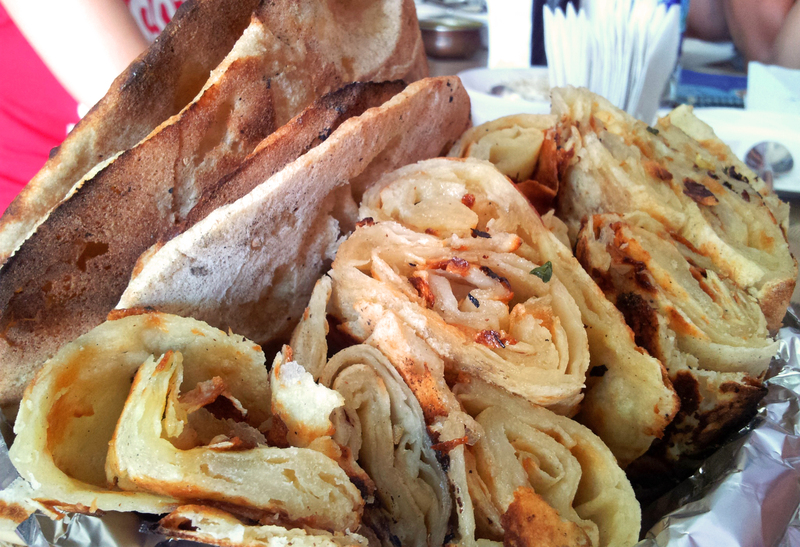 Basic it may have been, but our hotel knew how to make some killer garlic naan. The owner was so friendly! His relative was based in Toronto so he had a loose tie to Canada and had visited a few times. From a traveler’s perspective its a great way to see a country and work closely with locals, giving you a great opportunity to not just see but experience a taste of what life is like for them. You build relationship and share their achievements and sympathize with their struggles. All this while accomplishing a greater purpose means not only a great travel experience but a truly gratifying and meaningful time, which you can share with friends and family back home, thus gaining greater support for the cause. 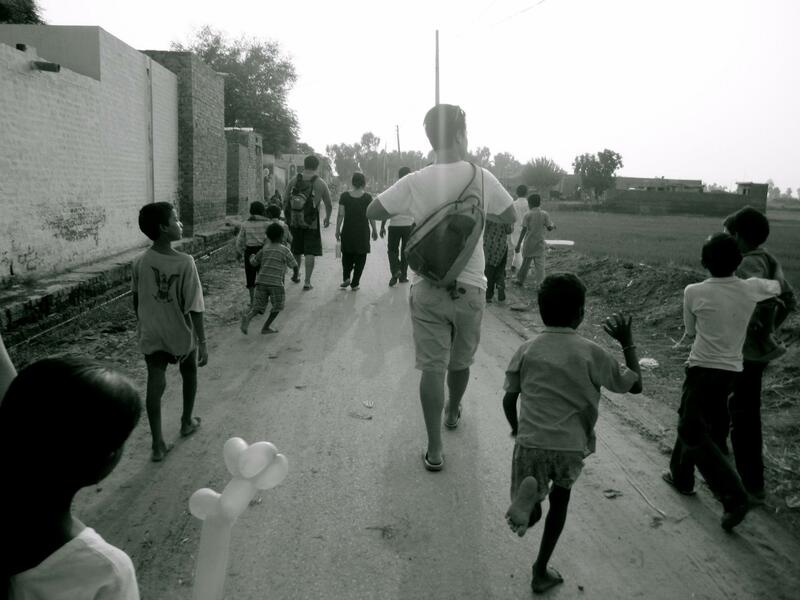 Everyone who went on this mission trip is a willing advocate for the Dalits. If you are curious or want to know more about them feel free to message me or leave a comment! 2) If you haven’t already, make sure to RSVP to Thread of Hope, the event put on by some friends of mine including photographer Tessa Tham. The proceeds from the fashion bazaar will benefit the building of a vocational training center for Indian women in the city of Abohar. Come out and support! 3) Last but not least, through the grace of God I’ve been accepted to Queen’s university to study Occupational Therapy (Whoot!). I’m currently trying to gain support for a travel/academic scholarship worth 7K which would cover most of 1st year’s tuition. If you could take 1 minute to click on this link and click “Support” next to my picture, I would be forever grateful. Thanks everyone!